Our beloved mother, grandma, sister, friend, Hallie Virginia Hawkins Berrett, passed away at the age of 66 on August 22, 2017 at home. Born April 17, 1951 in Provo, Utah to Beverly Ferguson and Robert Raymond Hawkins. Hallie married Vaughn Kimball Berrett, her sweetheart on August 7, 1970 in the Salt Lake LDS Temple. Besides being loving sweethearts, they were great friends. 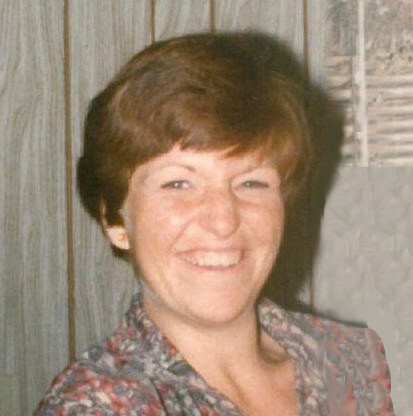 She loved being a mother, wife, grandmother and friend to all who knew her. She went to Hillcrest and Murray High School. She was a BYU and Utah fan when they weren't playing the "Y". She enjoyed making scrapbooks and writing poetry. She loved playing with her grandkids all the time. She was a loving wife and caring mother and grandmother. Their family was the third and fourth generation to live in the old Berrett farmhouse which she and Vaughn always loved living in. They have lots of fun and joyous memories of their lives together. Survived by her son , Jason Paul (Adrienne) Berrett, Grantsville, Utah; her daughter, Caroline (Mark) Gygi, Salt Lake City, Utah, who cared for her in her later years, seven grandchildren, Taylor Renae Berrett, Eliza Nicole Berrett, Brooklyn Reese Berrett, Tessa Thea Grace Berrett, MacKenzie Esther Gygi, Marketa Beverly Gygi and Joshua Vaughn Berrett Gygi . She is also survived by her sister, Stacy (Russ) Godnick, Park City, Utah and four brothers, Brad (Liz), Jim (Kathie) and Tracy (Jenny) all of Salt Lake City, Utah and Bryce (Nancy) Hawkins, Berthoud, Colorado. Preceded in death by her husband Vaughn Berrett, who died on May 1, 1994, their son Joshua Vaughn, who died on May 30, 1995, while serving an LDS mission in Tempe, Arizona and their daughter, Esther Lyn who died at birth. Her parents, Bev and Bob Hawkins and her in-laws, Caroline and Golden L. Berrett. Funeral services will be held Saturday, August 26, 2017, 12:00 p.m. at the Greenfield Chapel, 6600 S. Greenfield Way (1800 E.), Cottonwood Heights, Utah. A visitation will be held Saturday prior to service from 10:00-11:50 at the Greenfield Chapel in the primary room, where her family will greet and visit with loved ones, friends and family.